Anya Gerasimchuk currently works as a User Experience (UX) Designer at GE Digital. She has worked as a Product Owner, Project Manager, Business and Systems Analyst as well as the Web Designer/Developer in the Information Technology industry for over 15 years. Organizations where Anya worked include European Space Center child organization - EUMETSAT (Darmstadt, Germany), Cengage Learning (Thomson Learning) Publishing Company (Cincinnati, OH), Ameritas Life Insurance Company (Cincinnati, OH), Cincinnati Art Museum, and more. 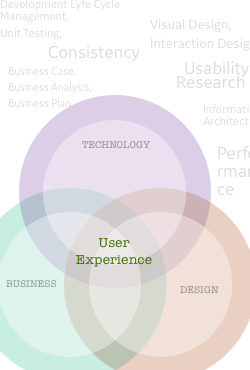 While being involved in many spheres of IT in my past experiences: from Design & Development to Project Management to Product Ownership, I bring emphasis on the User Experience as a priority for decision-making, and hands-on knowledge of the UX practices and Design Principles and Techniques. I am passionate about great Research, User Experience and Product Ownership collaboration, user-centric design and accessibility of applications and interfaces, standards-driven development for both UI and the back-end. I am passionate about the great leadership styles, where the team is not managed, but inspired and where creativity is a quality of high value. I believe that Less is More, the statement that actually follows the great wisdoms of the Japanese philosophy and applicable in many spheres of Information Technology. I am an advocate of constant self-training and education, with the wise pursuit of accommodating new and great methodologies and technologies, and of the fair and cooperative work environments.